Request Free Test Sample for any CBO Product now! 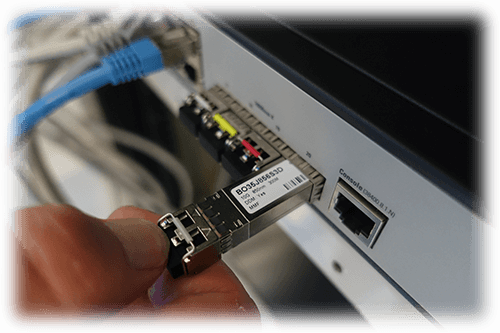 Are you interested in a BlueOptics or BlueLAN product, but you are not sure if the product is the right choice for your installation? You want to convince your customer to win him or a project or do you want to check on the CBO products by a test sample? Then you can profit from the CBO test sample loan program without cost of procurement. Because trying is better than studying, interested administrators and customers from CBO have the opportunity to test BlueOptics and BlueLAN products free of charge within the framework of a 14-day test sample loan period. By means of a test sample as a test sample loan, you can make a secure purchase decision without having to take a risk and you can test the use of the products before a project. Especially when your customer is skeptical, you should consider undermining your arguments by presenting a test sample and do not have to let him buy the famous "pig in a poke". Convince yourself or others and get a free test sample from CBO. Occasionally, there are also cases where special product customization is required, e.g. if you want to implement an application or an installation apart from the standards or if you want to use a product apart from the specifications from the employed manufacturer. In this case, CBO can provide you with special solutions with Try & Buy Option. Products you need are adapted to your requirements and can be purchased after a successful test was run. Should any undesirable function or mode of operation occur, the product will be withdrawn by CBO. Only the return shipping costs are to be borne by the customer. The CBO team will of course assist you during the rental phase. If technical or general questions about the product do not arise later, we will be pleased to help you quickly to find a solution. If you already have an account manager, you can contact him and resolve all ambiguities together. If you do not have a personal account manager yet, CBO will assign someone for you who will provide you with your current needs as well as with future requests. Of course we are always at your disposal for a meeting. You can request the test sample loan you need from your account manager or directly from CBO. Please refer to a BlueOptics or BlueLAN part number or to the respective specifications of the product. Please also tell CBO in which hardware the test sample loan will be implemented, so that any necessary adjustments to the test sample loan position can be considered. Insofar as the desired product is stocked as a test sample loan, you have the possibility to order the test sample loan already on the next working day. In case of a request for a test sample loan until 4 pm, the delivery can be made on the same day. All test sample loan packages sent by CBO are processed in cooperation with the logistics service provider UPS. From the date of delivery of the test sample you have 14 days to submit the test sample to a trial or for sampling. During this period, you can use the product(s) as if you had already purchased it and, for example, try its behavior in use. When handling, please ensure that the product is handled correctly, as long as the end-use is at CBO. After the expiry of the 14-day test period for your test sample loan, you will be contacted by your account manager for a brief feedback and will provide you with all necessary information for the return of your test sample loan. Of course you have the possibility to buy the test sample loan during or after the end of the test sample loan test phase, with the CBO Try & Buy option. The period for a test sample loan is 14 days (Should you need more time after the expiration, please contact your account manager). The lender bears the shipping costs of the test sample loan to the borrower. The borrower shall bear the shipping charges and care for insurance for the return of the test sample loan to the hirer. The borrower has to handle the test sample loan position carefully. Contraventions or damages which arise on the loaned goods are subject to the liability of the borrower. This applies from the date of transfer of the risk of the test sample loan to the day of the return of the test sample loan. CBO reserves the right to charge a repair on the damaged product or the purchase price of the damaged test sample loan. If other damages occur due to improper handling of the test sample loan, the borrower is liable. All products made available as a test sample loan must be returned in the same condition as for delivery in original packaging together with all parts. For example, cables must be wound so cable breaks cannot occur. 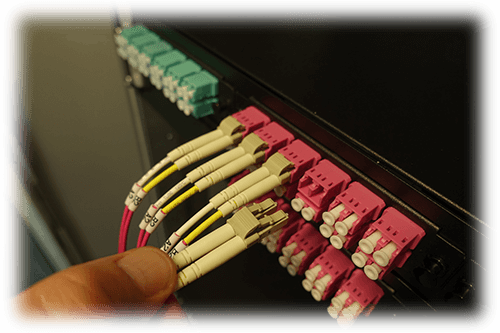 For optical transceiver or cable test samples, existing dust caps must be reinserted. If the test sample loan situation shows a defect, the customer has to bear the repair or replacement costs. If you would like to return or purchase the products before the end of the test period, please contact your account manager. Unauthorized returns of test sample lendings or returns of rescheduling without RMA number will be returned or rejected by CBO at the expense of the consignor. Should you have any further questions regarding a test sample loan from BlueOptics or BlueLAN products, please contact your account manager or send an e-mail to CBO. Please do not hesitate to contact us for further information. You can also view the entire BlueOptics and BlueLAN range under the menu products and make a product selection for your test sample loan placement.Contact CBO now. We look forward to your inquiry.